This week I had the pleasure of photographing a great new family with an awesome dog named Caesar. 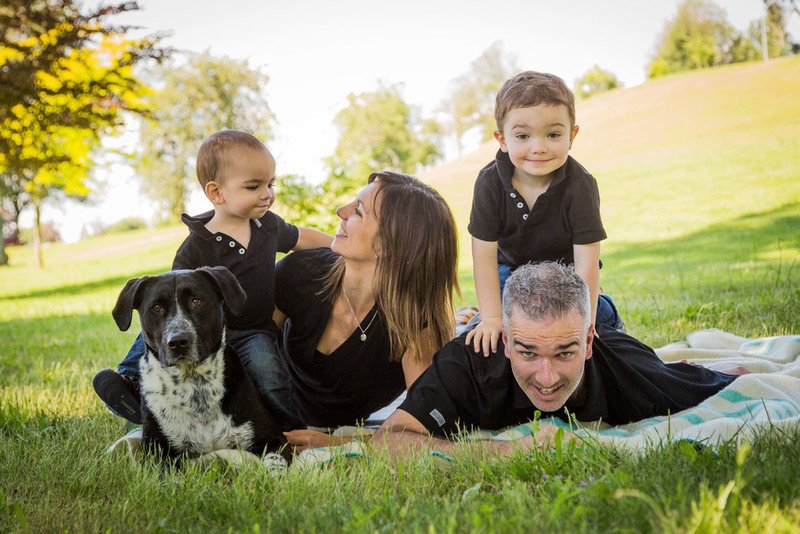 Caesar is well-loved by his owners Amanda and Ryan and their 2 sweet little boys. We shot at a great spot in Mission, BC - Fraser River Heritage Park, and then went back to their home to give everyone a chance to cool off in the sprinklers. Caesar had a great time fetching his ball over and over again while I photographed him. He was really happy to cool off in the stream after that. I think he probably had a really good nap in the afternoon because we tired him right out.